Are you a Lady Gardener? If you have been on Oxford Street recently, you may have noticed Topshop’s fantastically floral window display. It features three mannequins with flowers strategically placed over their bits, wearing grey jumpers with ‘LADY GARDEN’ emblazoned across them. Lovely as the blooms are, this is not, in fact, about encouraging more young ladies to become budding horticulturalists (although I’m sure that would be smashing too). 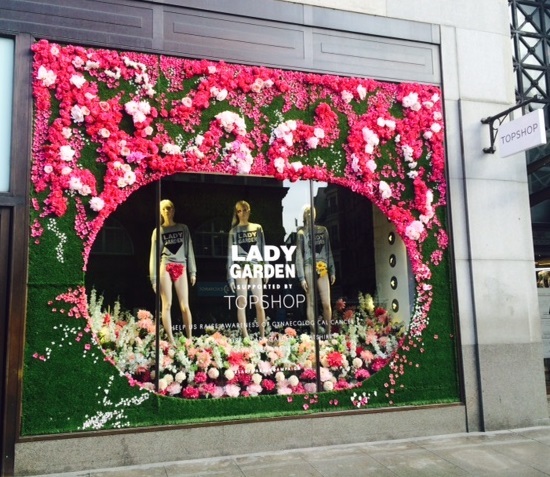 Topshop’s window supports the Gynaecological Cancer Fund‘s #LADYGARDENCAMPAIGN. 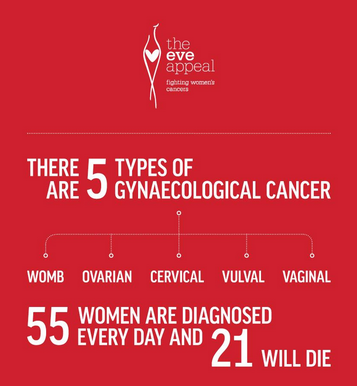 September has been bagged as Gynaecological Cancer Awareness Month (GCAM) by brilliant charity – and friend to the site – The Eve Appeal, who fund research and raise awareness of all five gynae cancers. This year, the key focus they have chosen is for people to open up and have honest conversations about all things gynaecological. Check out their Twitter campaign – #TimeToOpenUp. The Gynaecological Cancer Fund, who are raising money for a Royal Marsden gynaecological clinical trial, have taken the opportunity of GCAM to launch their Lady Garden Campaign. This campaign is also focusing on encouraging women to open up and talk more frankly about these issues. They explain that these cancers have been nicknamed ‘the silent killers’, simply because ladies are embarrassed to talk to other people about their symptoms, whether that’s to their friends, family or GP. And time is of the essence; the sooner these cancers are diagnosed, the more likely they are to be cured. 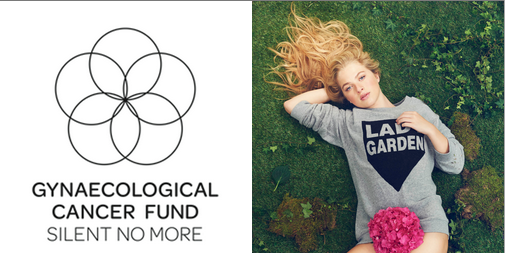 Topshop are supporting the Gynaecological Cancer Fund with their campaign by stocking their Lady Garden sweater. Designed by Simeon Farrar of Black Score, the sweatshirts cost £28, with 30% of that going straight to the charity. You can buy one here (though when I looked there was only 1 left in stock!). As far as I’m concerned, anything that raises awareness of these cancers is a wonderful thing, so I’m all for these September activities. I will be raising awareness of my own cancer by having surgery on Friday to try and work out what treatment is coming next. If turning up for a smear test every few years can prevent you from ever being in my position, I’d say it’s a small price to pay – DO IT!! Dearest Caroline, I hope that your diagnostic surgery reveals a turn-around in your condition and that ‘next steps’ hasten that along.